Hey Guys Whats up! If you are a Blogger and want to make money from your website then you are at right place, I have compiled a list of the best CPM ad networks that a publisher like you can join & start earning money. 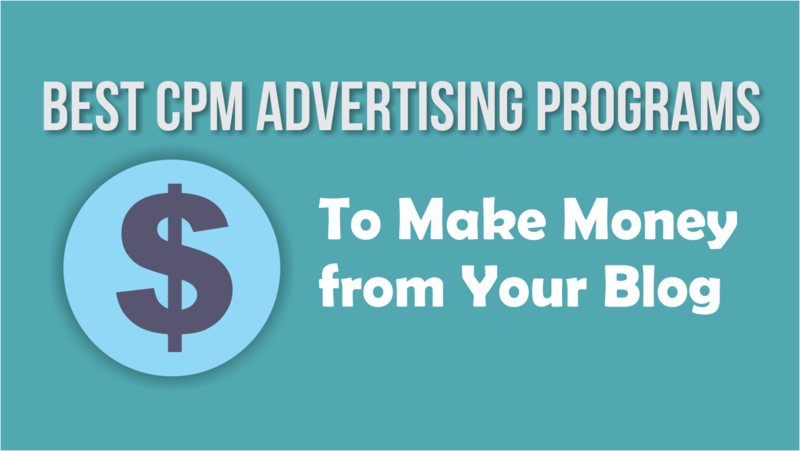 CPM is a Great way to start because the Ad Network pays you even if the viewer does not click on the Ad, because you get Paid for Impressions and Not Clicks, and the Good thing about Impression is that if you place 3 Ads on a page and the viewer visits your page then you will be Rewarded with 3 Impressions, although the Page View is just 1. 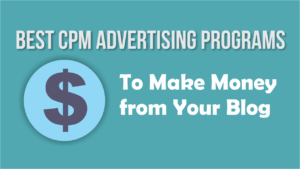 Most CPM networks pay $1 to $10 per one thousand impressions (depending upon various factors). 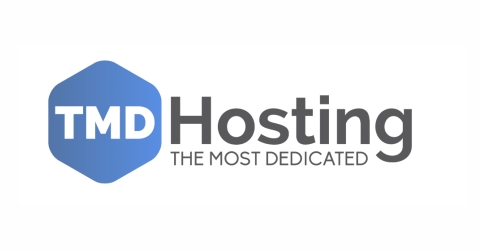 AdsOptimal which is a Partner of Ad Networks like Google Adsense & DoubleClick, is a great choice for CPM Ad Network, They offer both CPM and CPC Ads, AdsOptimal was founded and Started in 2012 in San Francisco, many bloggers consider AdsOptimal as the Best Google Adsense Alternative. Over 100k satisfied customers who use AdsOptimal on their Blogs and Websites. 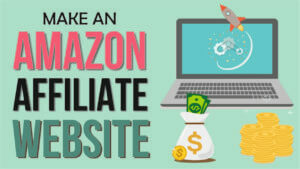 Gift of $15 is given to Premium website (Website having Good Alexa Ranking) and $10 Gift is given to all other Website. Payment through PayPal and Check also Available. 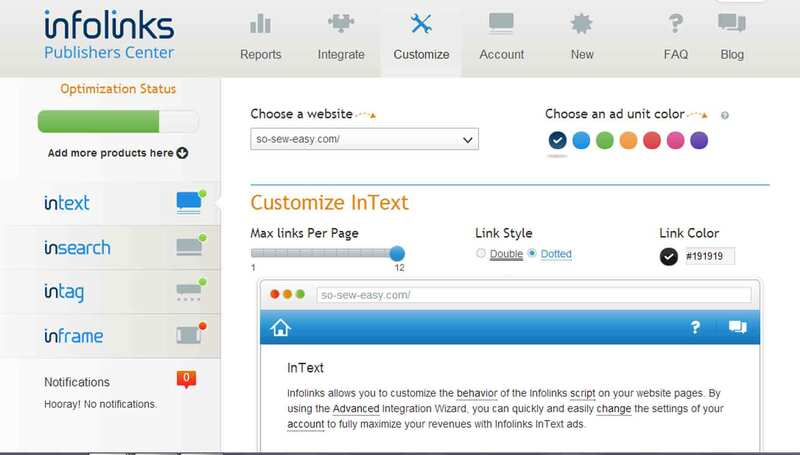 Infolinks is a great ad network that offers an innovative set of free to use and profitable ad units: InFold (overlay ads), InText (text links ads), InTag (tag cloud ads), InFrame (banner ads in margins and frames) and InScreen (smart interstitial ads). 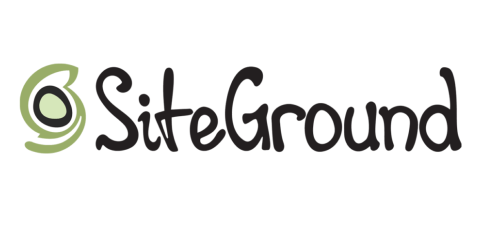 That result in better SEO, less intrusion to your users, increased relevance and better space utilization. Infolinks generate high monthly revenue for over 200,000 publishers in more than 130 countries. Many SEO and User Friendly Ad formats Available. InfoLinks is Partner with Business Giants like Facebook, Microsoft, Amazon and Ebay. No minimum requirements for page views or visitors. Although PropellerAds is more of CPA (Cost per Action) Ad Network, it is also very Good for as a CPM Ad Network, many Websites and Blogs are using using PropellerAds, currently PropellerAds is providing more than 650 million daily ad impressions for desktop and mobile visitors. PropellerAds is best suited to Websites and Blogs with high Visits, The network was founded in 2011 with the basic idea for providing clickable ads for website audience and in turn generating revenues from them. Great thing about PropellerAds is that they offer Real Time Reporting. Wire Transfer and payment through Payoneer option is available. I personally think you should at least try it once, it will really help you boost up your Income. 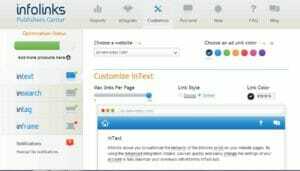 If you are a small to medium sized publisher who wants to supplement their AdSense income or is having difficulty getting their site approved by other networks, UberCPM may be the right choice for you. UberCPM is one of the fastest growing CPM ad networks thanks to their instant site approvals and 80% revenue share for publishers. If you have ever had difficulty being accepted by other networks, UberCPM will approve you instantly as long as your site complies with their publisher rules. UberCPM is an ad exchange platform that puts your inventory on the biggest ad exchanges around, allowing multiple advertisers to bid on your site. For some publishers, they can achieve up to a $10 eCPM thanks to this process, while other sites may receive very few bids. It’s best to allow 4-5 days for your eCPM rates to optimize and for advertisers to review your site. Really high rate of CPM goes upto 10$. Publishers enjoy monthly payouts by PayPal, Payoneer and Wire Transfer. The lovely Real Time Statistics and Reports. Clean ads that are safe to run alongside Google AdSense. Best Suited for Small and Medium sized Publishers. Tribal Fusion is an Exponential Interactive subsidiary, and is well-known for continually improving its advertising services to offer its clients and publishers even better results. 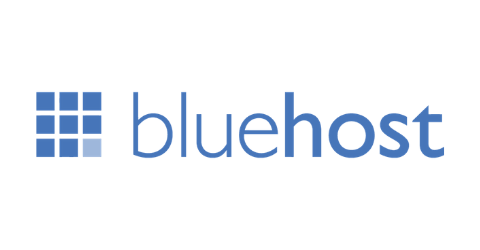 It is best for Publishers receiving large amount of views on their Blog or Website as Exponential requires a minimum of 500,000 monthly views, and 5000 daily unique visitor to get Approved. Exponential is a hard ad network to get into, but once approved it will make your life Beautiful. lot of different ad types to choose from, which help you find the perfect ads for your website. Payments are made at 45 days interval and can be collected through a cheque or PayPal. Highly targeted ads translate into higher revenues for your website, making it a superb choice for niche websites with large readership.